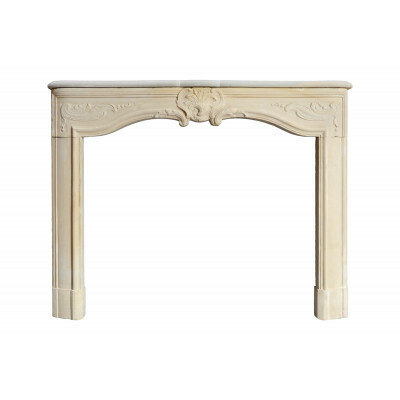 Dated from the 18th century, Regence period stone fireplace. The lintel is enlivened in the center of a shell and flanked by rockeries. The lines of hearth, worked in curves and against-curves, is underlined by a torus continuing until on the jamb.